It seems that me and Aesop are on the same page in terms of the importance of exfoliation. Whatever your skin type or concern, exfoliation is hugely beneficial to the balance and wellbeing of skin. This is my new favourite from Aesop, an lovely feel, fabulous ingredients and a smell to die for. I’ve been a long-standing fan of 7 Day Scrub by Clinique, but this is a more luxurious and indulgent natural alternative. This uses a combination of both chemical and manual exfoliators with lactic acid, and ground quartz. 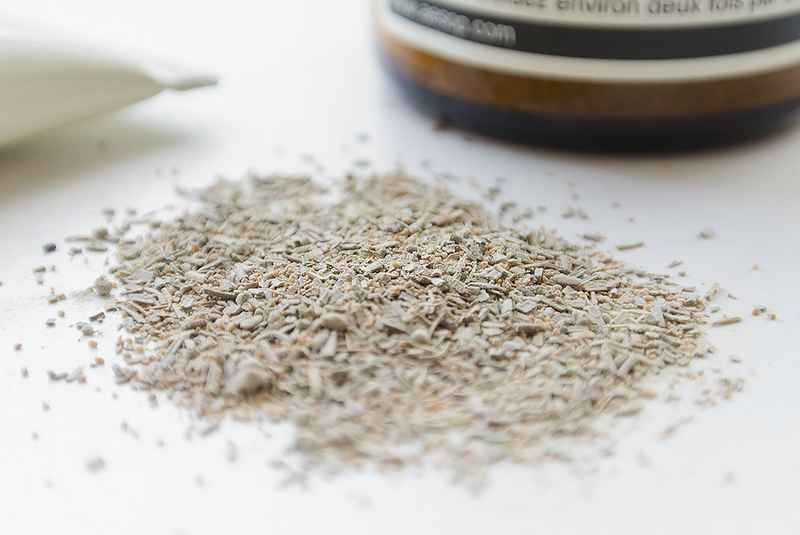 Chamomile and Lavender sooth and reduce inflammation on the skin. 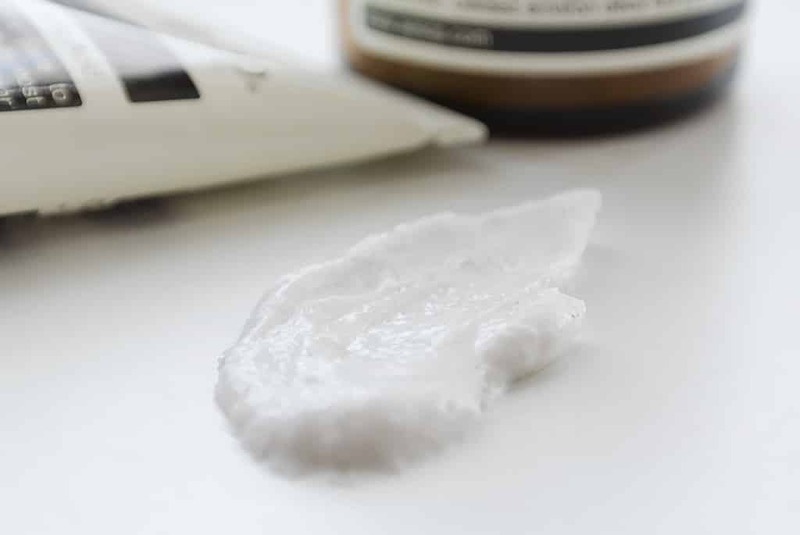 To apply, slightly dampen hands; apply some Aesop Purifying Facial Exfoliant Paste onto the finger ends then massage into dry skin for around 30 seconds. Always avoid the eye areas. Rinse with warm water and then finish off with your favourite facial wash/cleanser; this will ensure skin is clean and all excess product has been removed. I reviewed this back in December and have been loving it ever since. If you want a truly deep and powerful exfoliator, this is your ticket; I’ve never come across one as powerful before or since. 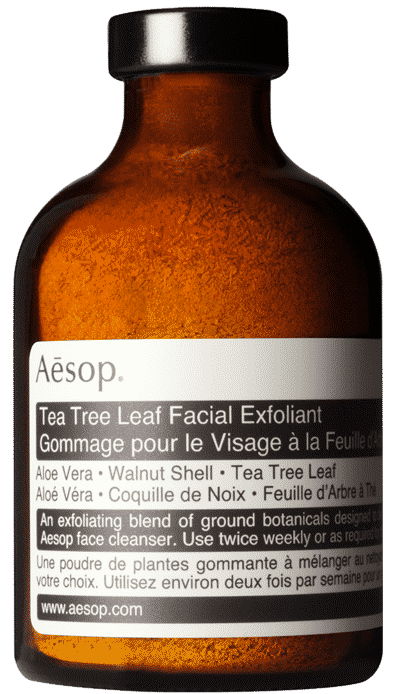 Aesop Tea Tree Leaf Facial Exfoliator is more of an exfoliating supplement rather than a standalone product. It’s designed to be mixed in with your favourite wash/cleanser. This also means you control the power. I normally opt for around one to half a teaspoon of product. Here you’ll find ground Tea Tree leaves, crushed nut shells and purified clay to exfoliate. There’s also aloe leaf and grape seed extracts to calm and condition the skin and help minimise post-exfoliation dryness. After exfoliating, ensure to use your favourite moisturiser, otherwise you’ll end up drying out those newly revealed skin cells. 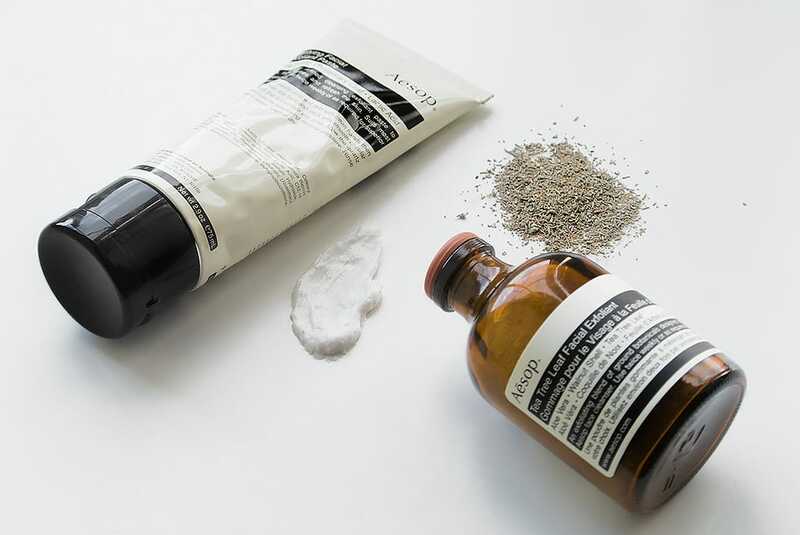 For more information and to buy these gorgeous goodies, head over to Aesop. This article first appeared on MANFACE written by Thom Watson. It was published on Tuesday 1st April 2014 and was last updated on Monday 3rd April 2017 at 2:07pm. 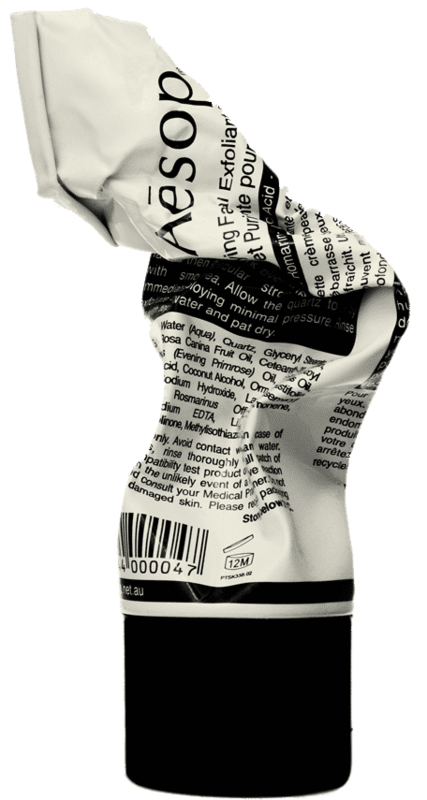 It's categorised under Aesop, Exfoliate where you'll find more related content. I just went to their store last week and had the most horrid sales person ever. I walked out with a deodorant that kind of blows but have skin care samples I am going to try. Your post inspired me to get excited about their exfoliants. Great write up. Thanks!